Discovery Kids Learning Center in Fruita has been a trusted Facility in the Grand Valley for over a decade. They have the experience and knowledge to ease any of your fears. From the cleanliness noticed right when you walk in, to the inviting, warm personalities of the Discovery Kids staff. 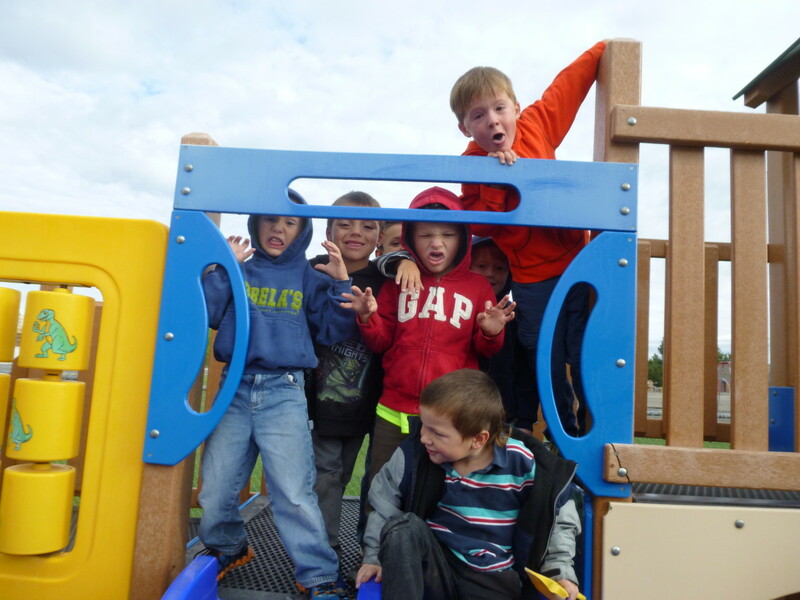 When someone mentions preschool or Daycare in Fruita, the first thought among most parents will be Discovery Kids! We offer plenty of flexibility from getting your kids to and from school, to meals getting them through the day. During the summer you can catch the kids going to the pool weekly, and to different areas around town. Your child will stay constantly busy at Discovery Kids, that’s what makes us different, we keep your kids growing. The children are always with their respective peers. This atmosphere gives the children the optimal potential for growth and development. Preschool Fruita has been given a standard; Discovery Kids Learning Center made this possible by consistently holding high standards for the industry. This is also why Discovery Kids Learning Center should be the first stop you make. 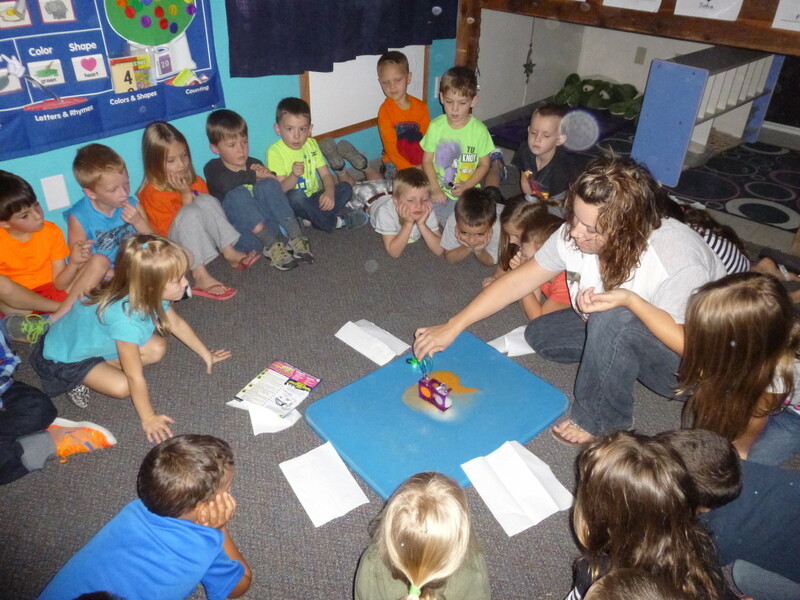 Preschool Fruita, Infants, Toddlers and Early Childhood Education; we have them covered. Come talk to us in Fruita or our new location in Grand Junction! We strive to have a happy and inspirational facility that you and your children feel safe at! Discovery Kids Learning Center Makes learning fun! At Discovery Kids we want your kids to reach their full potential, that is why we provide plenty of opportunity for them to grow. Schedule a visit today so you can see what a difference our Learning Center will make in your child’s life. Discovery Kids Learning Center stays current with all of our Licenses with the State of Colorado and Colorado Shines Program. Success starts with the individuals surrounding your child. Personal interaction and knowing what each child needs will be the difference between a life full of hardship or one full of success. Because every child is different, it takes working with the child everyday and understanding their needs on a personal level to overcome learning barriers. 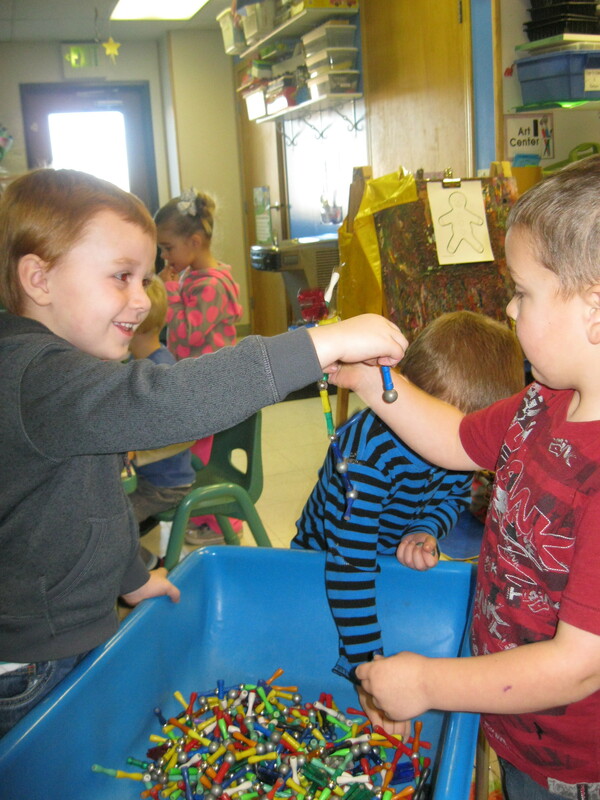 Every child in Daycare Fruita will have different learning patterns and knowing what works with each child is the difference between success and failure. It is up to the facility and the persons in charge to understand that every child is unique and might have different barriers surrounding their growth. Take for instance an active child who has a short attention span and might be thought to have ADHD. It could be that they have this horrible learning disorder, or it could be that they need more stimulation then the other children in their group. It takes time to understand the child’s specific needs, instead of jumping to the conclusion that they are affected by a disorder. If we take the time study exactly what the child needs, we might find out that they just need more stimulation in other area’s. If they can’t sit still, maybe they more outside time than the children who like to sit and do crafts. At Discovery Kids Learning Center, Daycare Fruita we learn that some children are more athletic than others. Is this because they have a disorder? Not really. It takes time to understand the specific needs of each child, and watching where they excel to know how to handle them. 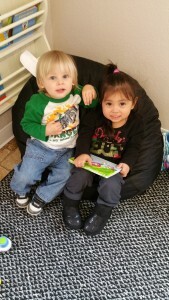 Daycare Fruita can be simple for every child or can be hard. Understanding the child’s specific needs is going to mean the success or the failure for each child. That is why it is so important for a Daycare Fruita facility to know each child on a personal level. Discovery Kids Learning Center come and grow your imagination! With a curriculum based on your child’s age group, your children will reach their full potential! Watch as they excel in all fundamental actives! We want the very best for your kids, that is why we spend the time to understand their needs individually and as groups. Your child will be given the chance to grow with every activity. We carefully plan to encourage children to be great learners. Schedule a visit today so you can see what a difference our Learning Center will make in your child’s life. Discovery Kids Learning Center stays current with all of our Licenses with the State of Colorado and Colorado Shines Program. There is a major difference in the type of service and compassion offered at Discovery Kids Learning Center. When you think about sending your children to Daycare Grand Junction, we want you to notice right a way how much more we care for the fundamental development of your children and the educational opportunities provided to them. We have come up with a specific plan to engage their age level, and the years we have in the industry prove beyond reason that this specific plan works and gives them the tools they need to grow. Being in an environment where the teachers actually care about the success of each student in the their group makes a huge difference in the response the child shows and advancement they make during the time they are with us. Discovery Kids Learning Center has been around Daycare Grand Junction long enough to know that personal interaction goes a long way. We aren’t just there for your Children, we show them what to do, how to behave, where to find success, why they are doing activity the way they are and when the appropriate time is to be serious or have fun. It is very important for children to understand the time and place for seriousness or time for fun. They need to start understanding the difference right away, or the chance for disruption will follow them into their later years. The way to approach this is quite simple really, consistency even in the most daunting moment will make sure they learn this difference and instill a thought pattern in their later years that will most likely become a tool of reason and a method of engaging their future teachers and peers. Consistently showing children in daycare Grand Junction a fun way of learning that will keep them wanting to come back. Schedule a visit today so you can see what a difference our Learning Center will make in your child’s life. Discovery Kids Learning Center stays current with all of our Licenses with the State of Colorado and Colorado Shines Program. Discovery Kids Learning Center and Preschool Grand Junction offers a unique and exciting environment for your children to grow and excel. Come find out the difference between your children being watched and your children being taught. When your child needs Preschool Grand Junction make sure you are taking them to someone who knows the difference between watching them and helping them grow. It is not enough these days to just watch children until their parents get them again. All kinds of trouble can happen when children do not have the proper supervision. Most of these problems can be stopped if the children have stimulation and constant attention. It is well known that if a child doesn’t get the proper attention and guidance they will most likely get involved in mischievous practices and behaviors. That is why when you bring your children to Discovery Kids Learning Center and Preschool Grand Junction, they will constantly be engaging in activities that will motivate them toward enlightening activities that push them toward their full potential. With the proper curriculum for their age group, your child will gain social abilities, cognitive problem solving and general interaction abilities. The instructors have many years experience and are regularly updated on new techniques for the best possible help for your children. It’s no wonder why other preschools Grand Junction follows Discovery Kids Learning Center as example of what a preschool should look like! Discovery Kids Learning Center wants your kids to grow, that is why we provide the best possible preschool Grand Junction and the surrounding area.If you want your kids in an environment that will help them excel fundamentally. We want your children to grow and reach their full potential. Bring your children where they will love to go! Learning is going to be exciting. Schedule a visit today so you can see what a difference our Learning Center will make in your child’s life. Discovery Kids Learning Center stays current with all of our Licenses with the State of Colorado and Colorado Shines Program. Come and see what it’s like for your kids to want to go to our learning center. 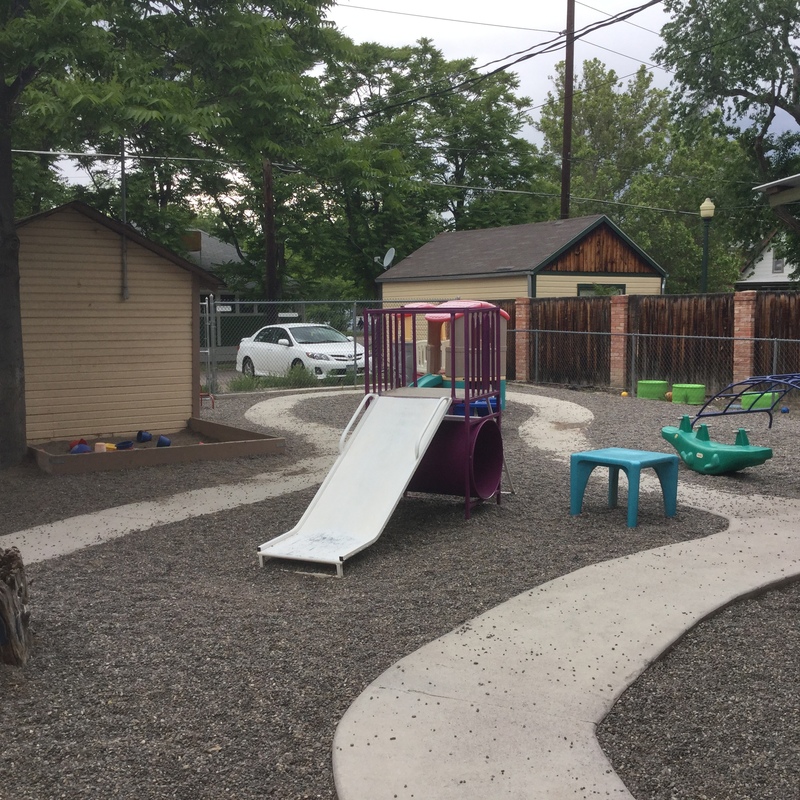 If you are looking for a place that your children can grow, Discovery Kids Childcare Fruita offers a type of experience that other childcare facilities cannot. You will see an immediate difference when you walk in to Discovery Kids Learning Center. Because we have been in the industry for over a decade, we know what works and use this knowledge everyday to make sure your children get the most effective response possible. Because Childcare Fruita can be overwhelming, we want you to feel safe when you drop off your kids with us. It’s hard on the child and the parent when leaving children in a fresh new place. We make the transition as smooth as possible. Keeping your children busy right when they walk in the door makes a world of difference. With developmental actives, to the proper placement we make sure they will grow. Discovery Kids Learning Center in Fruita has an experienced staff that will help your child reach their full potential by guiding them through an educational foundation designed specifically to fit their age group. We want to inspire and create an environment that helps them prepare for the school years ahead. Discovery Kids Learning Center offers a stimulating environment for your child to reach their full potential. The curriculum is based on your child’s age group so they can have the best possible transition to school. We want to provide your child with the best possible chance to grow, so we make learning a fun adventure. Schedule a visit today so you can see what a difference our Learning Center will make in your child’s life. Discovery Kids Learning Center; Childcare Grand Junction. Has started serving the Grand Valley after serving Fruita Co. for over a decade. Discovery Kids learning Center has dialed in the industry and their centers to a point that other Childcare Grand Junction facilities use Discovery Kids Learning Center as an example. When you are looking for a learning center with compassion, cleanliness and an all around comfortable place for your kids, Discovery Kids Learning Center will be one of the best places to start. With a number of places in the child care industry only doing their service for the money, it is hard to decipher who will actually take as good of care of your children as you. Most places put on good show just to make you think they are the best suited place for your child. Discover Kids Learning Center of Grand Junction and Fruita go out of their way to make sure that your child is their top priority. From the moment you drive up to the Center, you notice a calm and safe environment to leave your children. The office is right their monitoring the cars and the Center has surveillance around the clock for everyones protection. It is already a heart wrenching situation to leave your children; they are scared, you are worried and every scenario from them not being feed properly to a structure fire goes through your head. Discovery Kids Learning Center knows how you feel. They are well prepared for any situation that arises. They also have the experience to ease all your worries. Because Discovery Kids Learning Center is well known in the Childcare Grand Junction Industry, people know them and trust their impeccable record. It is hard for any other Child Care Grand Junction facilities to come close to their standards. If you want your children in a safe, friendly, clean environment, make sure your first stop is Discovery Kids Learning Center! At Discovery Kids Learning Center your child will receive the best possible learning environment and chance to grow! We normally have room for age groups through elementary school. 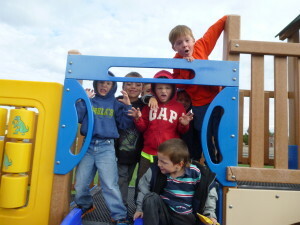 Our curriculum directs students through learning in a fun and exciting way! Schedule a visit today so you can see what a difference our Learning Center will make in your child’s life.